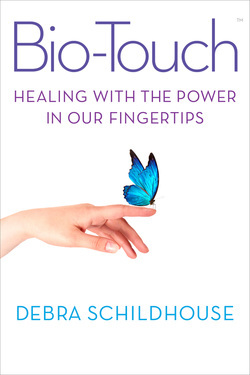 Preface to "Bio-Touch: HEALING WITH THE POWER IN OUR FINGERTIPS"
I was skeptical when I heard what people said about Bio-Touch. It’s a healing method that uses two fingers of each hand to touch specific points on the body, easing pain, relieving stress, and enhancing the body’s natural healing ability. I had heard anyone could learn to do it. It wasn’t even necessary to possess healing skills or talent. And apparently, everyone was effective on the very first attempt. That sounded too good to believe, and too simple to work. However, I was desperate to find a healing technique that I could depend on. I had dabbled in a different kind of hands-on healing technique years before, helping a few of my “patients” feel better. It was thrilling to actually relieve someone’s pain. But my method was unreliable, failing when I needed it the most—to ease my own daughter’s misery. Jill contracted viral meningitis, and the intensity of her head and neck pain was too much for my limited healing abilities. Worse yet, her doctors’ heavy narcotics were as powerless as my hands were. After many hellish days, and two trips to the emergency room, Jill recovered. She was able to resume her busy life with no ill effects. But I felt raw and shell-shocked from the experience, never wanting to feel that helpless or hopeless again. A year or so before Jill’s illness, I had read an article about Bio-Touch. Its organization offered reasonably priced training classes at the Bio-Touch Center, which just happened to be located eight miles from my home in Tucson, Arizona. Though the healing method sounded intriguing at the time, I was busy volunteering elsewhere. So, I shelved the classes until sometime in the future when I would be less busy. Boy, was that a lousy decision. Now I couldn’t get to that center fast enough! Unfortunately, on the first day of class I felt out of place among the other students, and even the instructors—all of whom I regarded as hippies and “tree huggers” of various ages. I could hear them talking about their dream journals, green diets, and spiritual studies. Heck, I didn’t even meditate. What’s more, I worried that the healing technique might turn out to be inappropriately weird. I had read that it was done by touching directly on the skin, so it was necessary for shirts to be removed before the healing session could begin. Being a modest woman, I was prepared to run out of that place the moment I felt naked in either the literal or the figurative sense. But I relaxed when I heard the uplifting stories told by the three instructors. They explained how the Bio-Touch, through its educational foundation, the International Foundation of Bio-Magnetics, had helped scores of people over the years by offering free healing sessions to anyone who walked through the center’s door. They accepted donations only. Was I hearing things? Could such a place really exist? When one of the instructors said students didn’t need special knowledge, beliefs, or healing ability to use this technique effectively, I certainly felt qualified. And surprisingly, by the end of the first day of class, I was sure I was in the right place to learn the healing technique I was looking for. All the practitioners who gave Bio-Touch sessions at their center were volunteers, and I now craved to join their ranks. So I completed the required classes, and an internship program, becoming a certified practitioner five months later. I was elated to be able to touch people, and ease their suffering every time I volunteered there. But what I hadn’t counted on was how much I learned about myself in the process. I was thrown into challenging situations that I wasn’t prepared to handle. All I wanted to do at that point was run away from the Center and never look back. Instead, with guidance from the Executive Director, Paul Bucky, and some soul-searching, I gritted my teeth and stayed, conquering my deepest aversions and fears in the process. Years before I met him, Paul’s severe backache had led him to seek relief from the local “healer” in a tiny town in Colorado. The man used Bio-Touch to relieve Paul’s pain completely in two sessions. Paul recognized the untapped potential of Bio-Touch, devoting the rest of his life to volunteering as a practitioner and teaching it to others. One day he mentioned to me how much he wished someone would write a book about Bio-Touch. He said people all over the world needed to read and learn about the healing technique that anyone could do, anywhere. He envisioned neighbors sharing Bio-Touch inside their homes in remote areas of China or Bangladesh, helping each other feel better. His words sparked a sudden, overwhelming desire within me to be the author of that book. I didn’t have professional writing experience; I wrote stories as a hobby. But that didn’t seem to matter to the yearning that now burned in my soul. I was hungry to tell what I had seen and learned at the Bio-Touch Center. I knew I needed to include background from Paul’s life in my book. Besides having lived an extraordinary life, he had expanded Bio-Touch’s reach well beyond the confines of Mancos, Colorado. He had created the foundation that offered classes to anyone who wanted to learn Bio-Touch, because it so perfectly embodied his lifelong creed to “love thy neighbor as thyself.” And, he wouldn’t rest until he shared it with many more people. I spent hours interviewing him to uncover details about his unconventional life. He had been on a spiritual quest since his youth. In early adulthood, he invited friends to move into his house to embrace communal life. His home soon evolved into a self-sufficient community of residents seeking spiritual enlightenment as well as teaching it to others. Later, he lived in the mountains of Colorado in a one-hundred-year-old stone house without running water, gas, electricity, phone, or mail service. Eschewing modern civilization for four years, he and a select group of people lived as the pioneers had in order to fully concentrate on their spiritual studies. I was touched, annoyed, amused, and sometimes grossed out by his depictions of past trials and triumphs. But the more I heard, the more I realized our lives had been on parallel trajectories for decades. Without living in close proximity, or even knowing each other, we had gone through the same experiences at the exact same point in time. It was something that neither of us could have imagined, considering our dissimilar backgrounds. 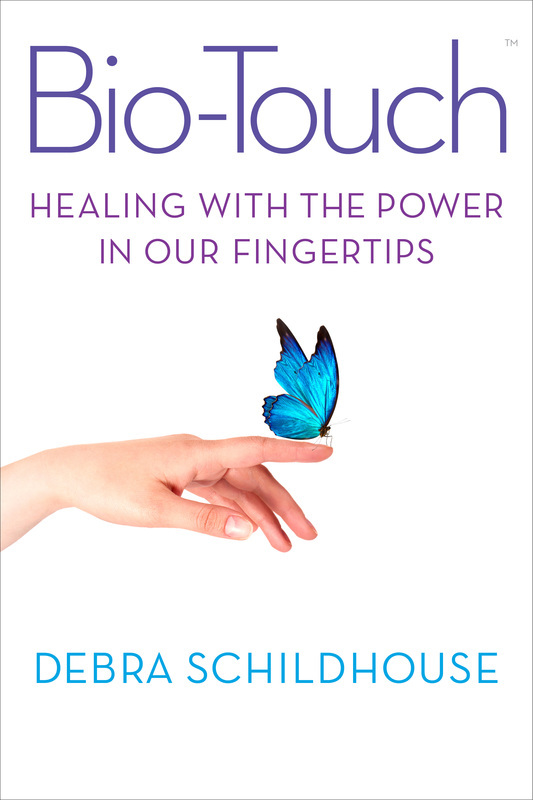 Eventually, fate led each of us to the Bio-Touch Center in Tucson, Arizona, culminating in our ever-deepening friendship, as well as a shared vision for the future of the simple, yet powerful healing method called Bio-Touch.